This morning Google’s search results don’t work. Clicking on the link doesn’t take your browser to the page as usual, but brings up an error message. Should visiting any web page really “harm your computer”? 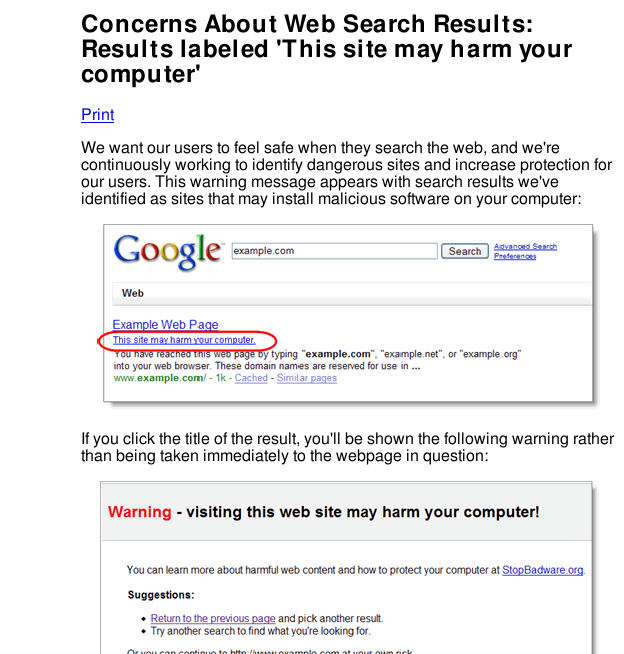 On what basis would Google think that a web page is going to “harm your computer”? Does it take into account or even know what kind of computer you are using? If a search result page is not marked with the warning, would you blame Google if you then visited the search result page and your computer came out “harmed”? 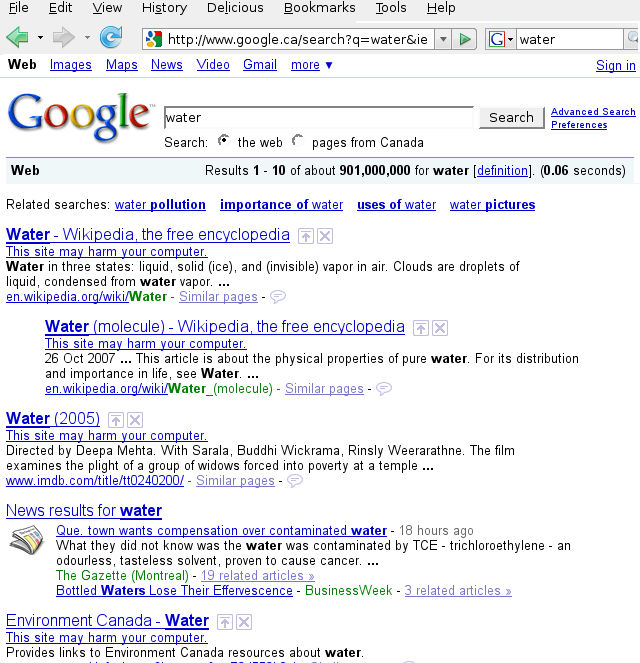 Are these search result page getting too crowded altogether? craigslist has barely changed their listing format and they’re doing just fine. “Unfortunately (and here’s the human error), the URL of ‘/’ was mistakenly checked in [to a list of bad URL's] as a value to the file and ‘/’ expands to all URLs”.